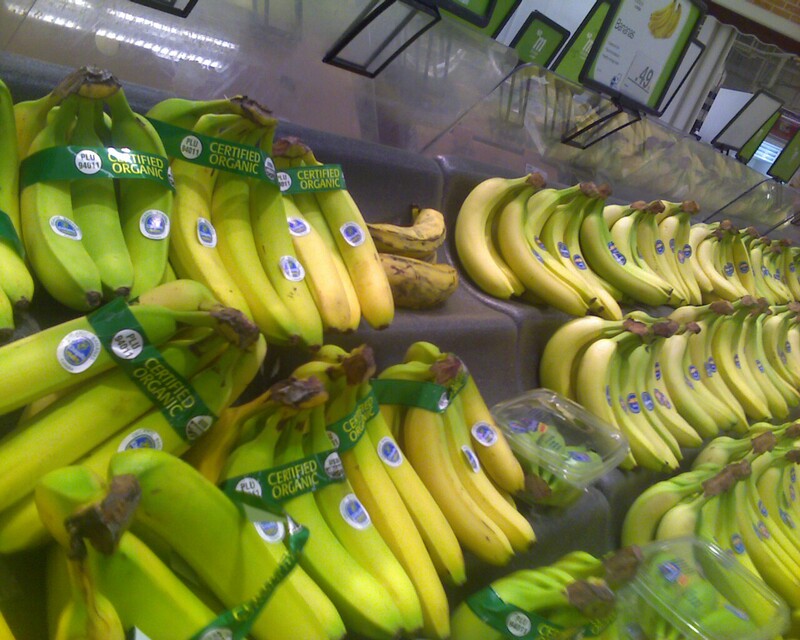 On a shopping trip to Meijer yesterday, I stumbled upon an ironic sight: Why do the “Certified Organic” bananas (left) have more than double the disposable plastic packaging of the chemically-enhanced bananas? Does that really cater to the Green crowd? Labeling aside, I have been impressed with the variety and quality of Meijer’s fresh produce section. 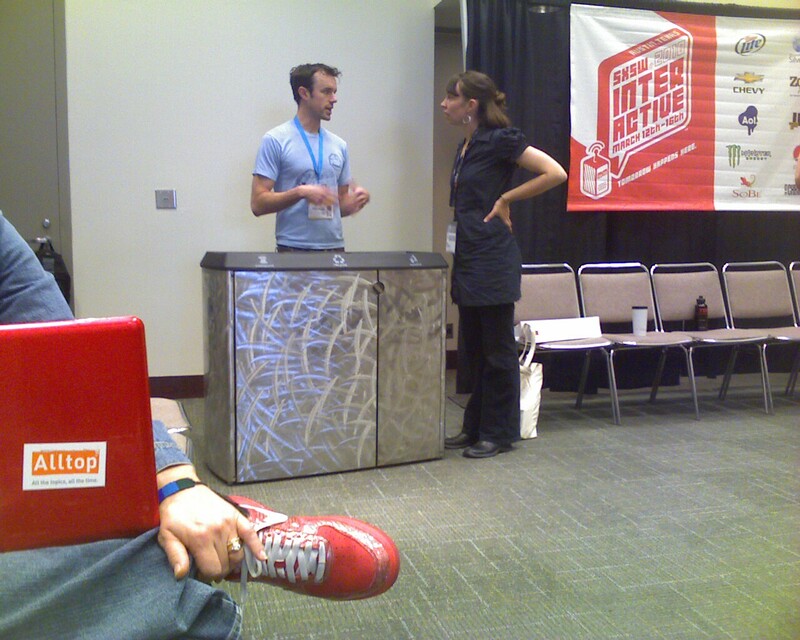 Panelists from the Zero Waste discussion at SXSWi 2010 congregating around the Austin Convention Center’s innovative refuse bins. Labels: “Recyclable Paper”, “Recyclable Metal/Plastic”, “Landfill“. Sure makes the destination of your waste a bit more clear. 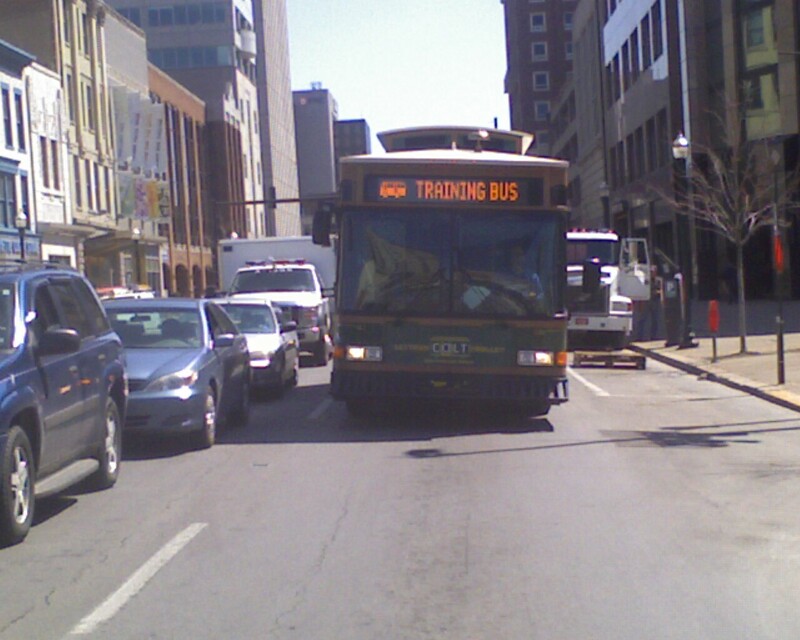 LexTran’s new COLT Trolley, servicing Downtown Lexington and the UK Campus area. 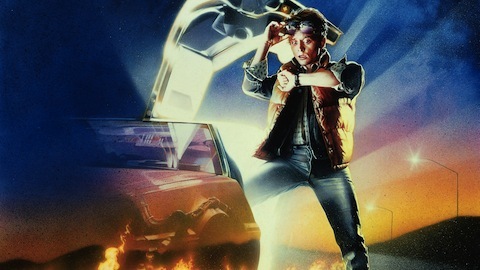 Oh yeah, rides are FREE. Seems like a good way to attract ridership and reduce downtown parking issues. 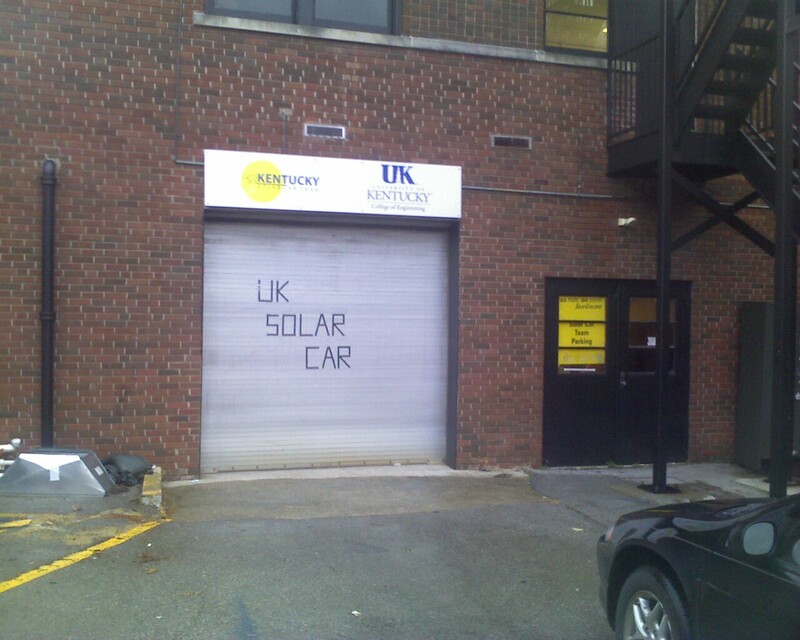 Finally, just wanted to brag that my friends at the UK Solar Car Team finally installed a permanent banner. Quite an improvement over the electrical tape hack-job I did in a pinch last year. If you want to talk to a group of students who understand energy efficiency and won’t bloat the facts, catch a meeting on a Monday night at 7pm at the DV Terrell Building.